Puma Punku Divine Society celebrates the One, and Only One God as Father and Mother Principle at one and the same time. This Unity of God allows Personification of God as Male and Female, as Father and Mother giving Peace, Harmony, and Tranquility in the living Human Experience. In Indian Tradition, Sharad Durga Navratri Celebration of 2017 begins on Thursday September 21, and concludes on 10th day, morning of Saturday September 30. This ‘Nine-Night’ Hindu festival is popularly known as ‘Dussehra’. This festival is observed twice in a year, at the beginning of Summer Season and at the beginning of Autumn Season and the days are determined by Lunar Calendar. The first set of 3-nights are dedicated to Goddess Durga( personification of Energy/Power/Force or ‘Shakti’ glorified as Divine Protector, Defender, or Savior), the second set of 3-nights are dedicated to Goddess Lakshmi( personification of material wealth, prosperity, and well-being), and the third set of 3-nights are dedicated to Goddess Sarasvati( personification of Pure Knowledge and Perfect Wisdom). I wish my readers Happiness invoking the Blessings of Divine Mother of Energy, Matter, and Knowledge. DEVI NAVRATRI – NINE-NIGHT CELEBRATION OF DIVINE POWER, LOVE, MERCY, GRACE, AND COMPASSION TO SECURE HEALTH, WEALTH, WISDOM, AND PERFECT WELL-BEING OF MANKIND. In Physics, Power/Energy/Force is not associated with gender. But, when living things exist as male and female, description of Power/Energy/Force may have gender association. In Indian tradition, ‘Deva’ means God and ‘Devi’ means Goddess. Devi in Indian tradition is personification of God’s Supreme Power/Force/ Energy or ‘SHAKTI’. To fully account for human existence, man needs two distinct or separate Principles that come together to produce harmonious singular identity of man. The issue is not about God’s gender. Father Principle is called Originating Principle. Mother Principle is called Source Principle, for Mother is Source of Matter, Energy, and Knowledge to establish Life. Father provides Identity to human form, Mother provides Substance, the structural and functional basis of human form. During 2017, Indians celebrate ‘DEVI NAVRATRI’ or ‘SHARAD NAVRATRI’ from Thursday September 21, to Saturday September 30. The term ‘Nav’ or ‘Nava’ means Nine. ‘Ratri’ means night. This celebration happens in a month called ‘ASVAYUJA’ ( or ASHWAYUJA – September – October), the month in which Full Moon Day is associated with first star (Tithi) called ‘ASVINI’ in Indian Astrology..
DEVI NAVRATRI – GOD AS MALE AND FEMALE. DEVI OR SHAKTI IS OFTEN CALLED ‘DURGA’ FOR SHE IS EMBODIMENT OF GREAT STRENGTH. 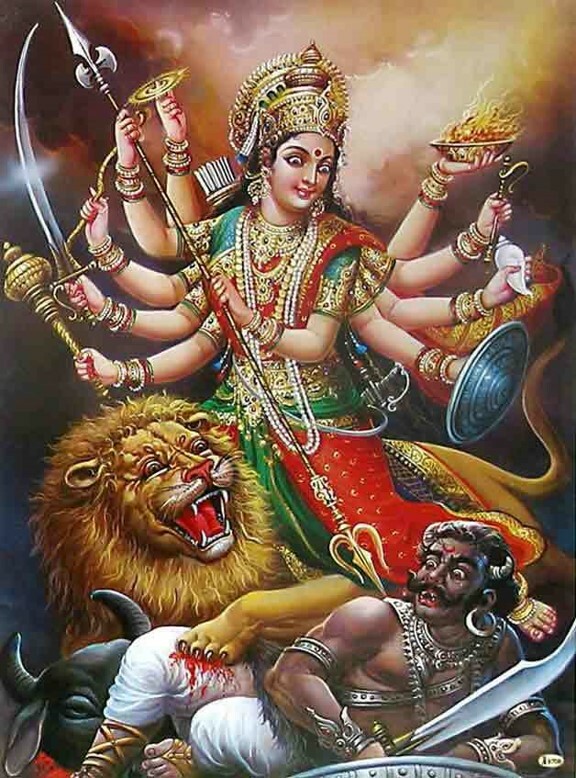 SHE IS ALSO CALLED BHADRAKALI, JAGADAMBA, ANNAPURNA, SARVAMANGALA, BHAIRAVI, CHANDIKA, LALITA, BHAVANI, AND MOOKAMBIKA. Devi or Shakti is often called ‘DURGA’ for She is embodiment of great strength. 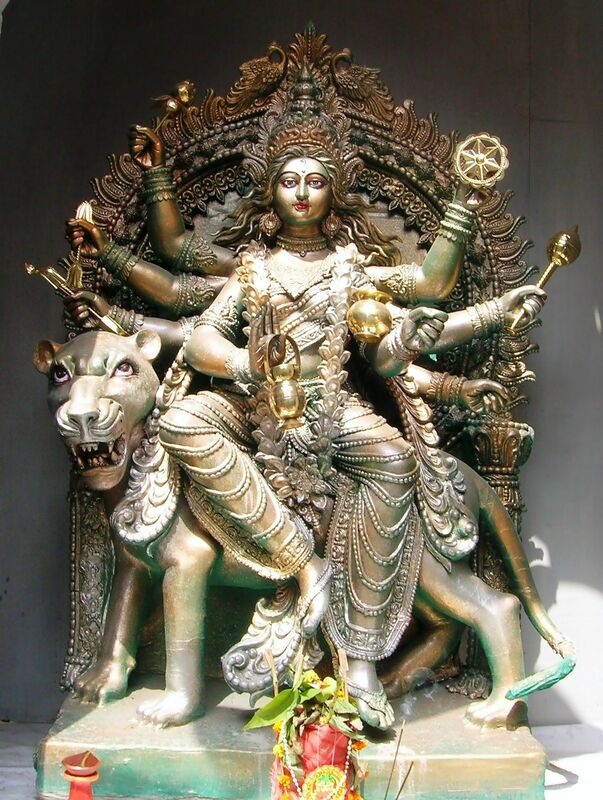 She is also called BHADRAKALI, JAGADAMBA, ANNAPURNA, SARVAMANGALA, BHAIRAVI, CHANDIKA, LALITA, BHAVANI, AND MOOKAMBIKA. During the 9-Night or Navratri festival, Indians worship nine different forms of Goddess Durga with 1,000 names. She is simply adored as Divine Mother and often addressed as ‘MOTHER'(“MATA” or “MAA”) whatever may be the name or form She assumed on different occasions. 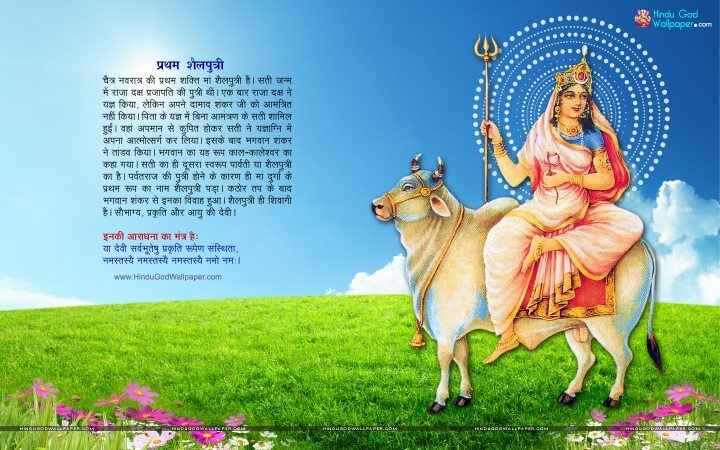 DEVI NAVRATRI – SHARAD NAVRATRI – GOD AS MALE AND FEMALE. 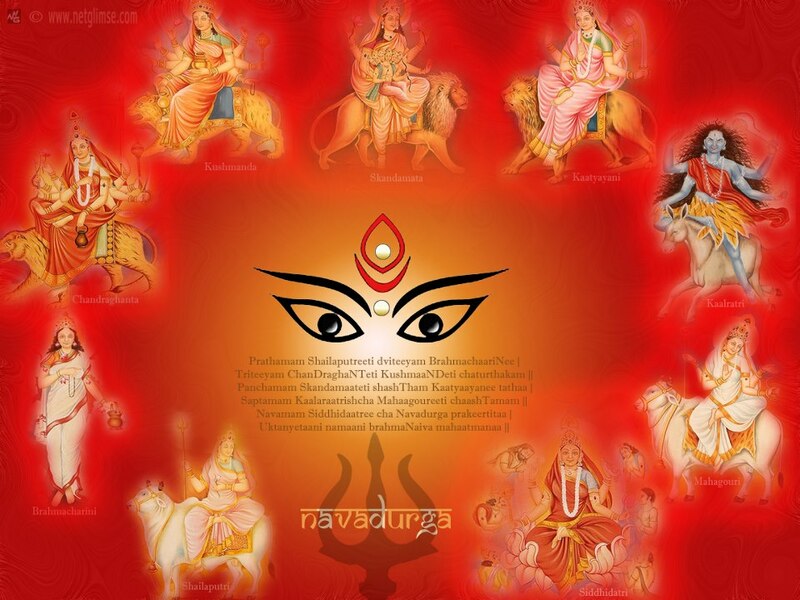 NINE DIFFERENT FORMS OF MOTHER DURGA OR SHAKTI ARE REMEMBERED WITH DEVOTION AND ADORATION. Goddess Shakti has three Supreme Forms called DURGA, SARASVATI, and LAKSHMI. In India, traditions vary from region to region. 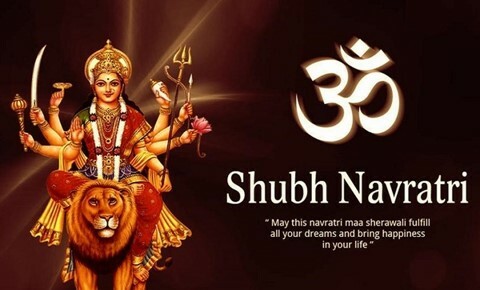 First 3 – days of Navratri are dedicated to Goddess Durga, following 3-days are dedicated to Goddess Lakshmi and concluding 3-days are dedicated to Goddess Sarasvati or Goddess of Knowledge, Wisdom, and Speech. On Tuesday September 26, 2017, the Sixth Day or Shashthi ‘NAVARATRI’ is dedicated to Goddess called ‘KATYANI'(legendary daughter of a devotee by name ‘KATA’). On this day, Goddess Sarasvati is worshiped for this day is associated with a Nakshtra(Star) called ‘MOOLA’. 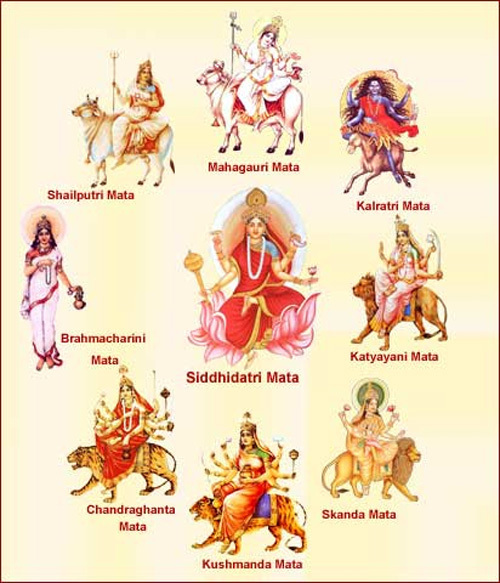 DEVI NAVRATRI – GOD AS MALE AND FEMALE – FIRST DAY OF NAVRATRI IS CALLED PRATIPADA. DEDICATED TO GODDESS SHAILAPUTRI, DAUGHTER OF RULER OF MOUNTAINS. 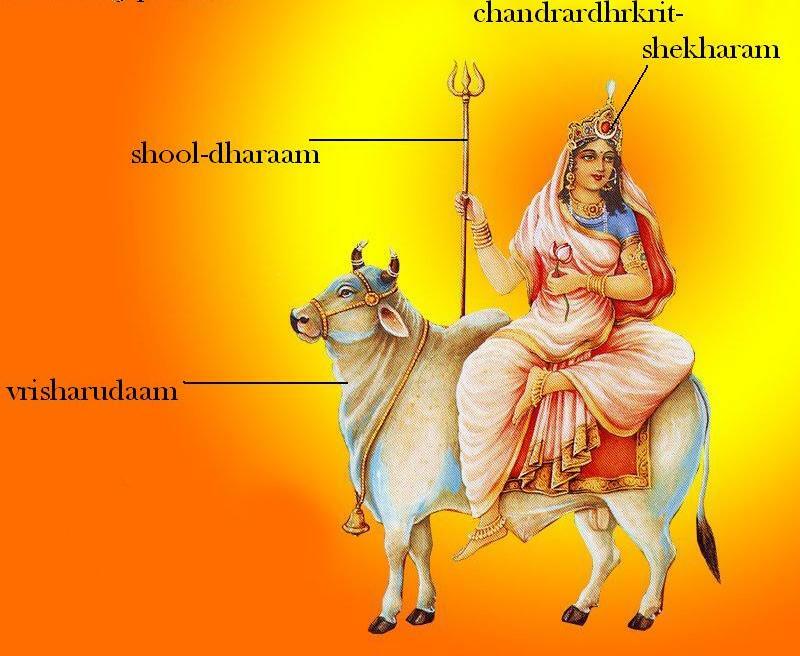 SHE IS ALSO KNOWN AS PARVATI, HEMAVATI, SATI BHAVANI AND OTHERS. DEVI NAVRATRI – GOD AS MALE AND FEMALE. FIRST DAY OF NINE-NIGHT CELEBRATION. 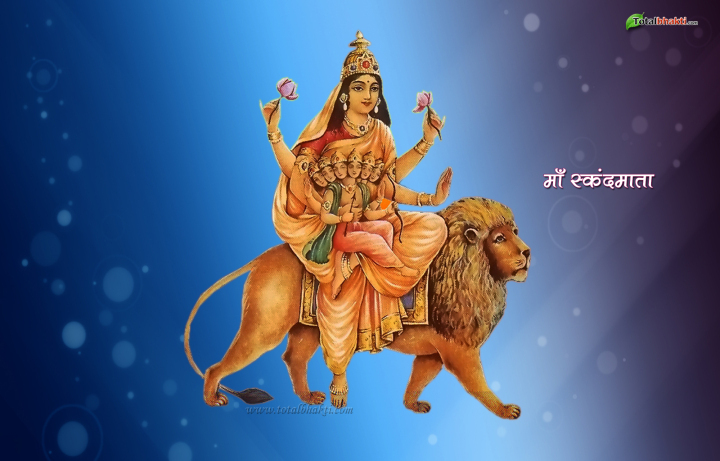 DEVI NAVRATRI – CELEBRATION OF DIVINE POWER. 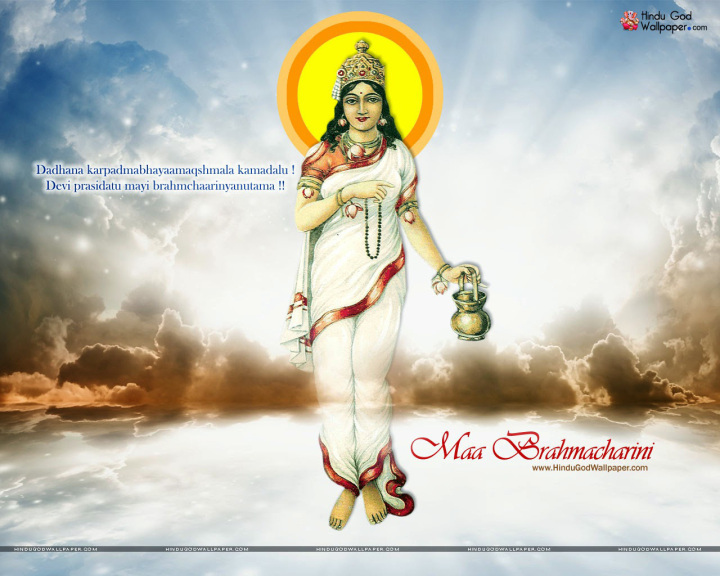 NAVRATRI, ON DAY-2, OR DWITIYA, DEDICATED TO GODDESS BRAHMACHARINI. 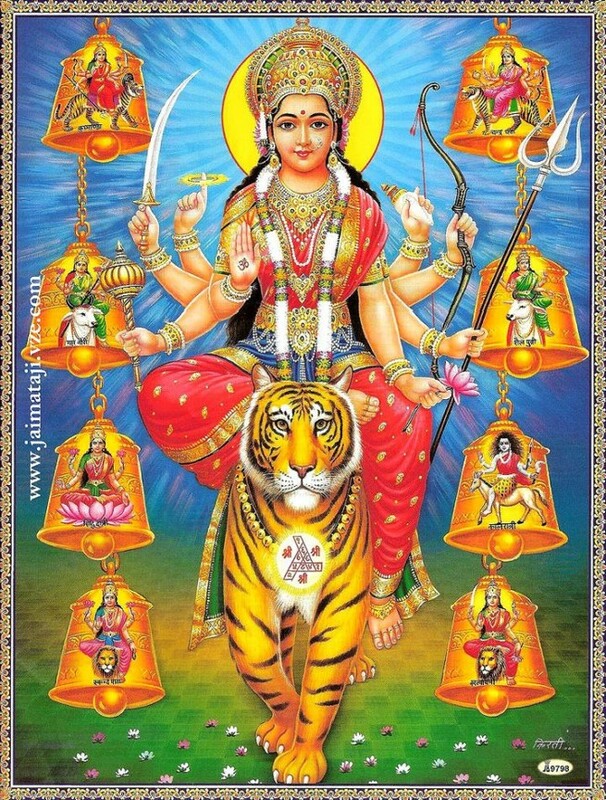 DEVI NAVARATRI. 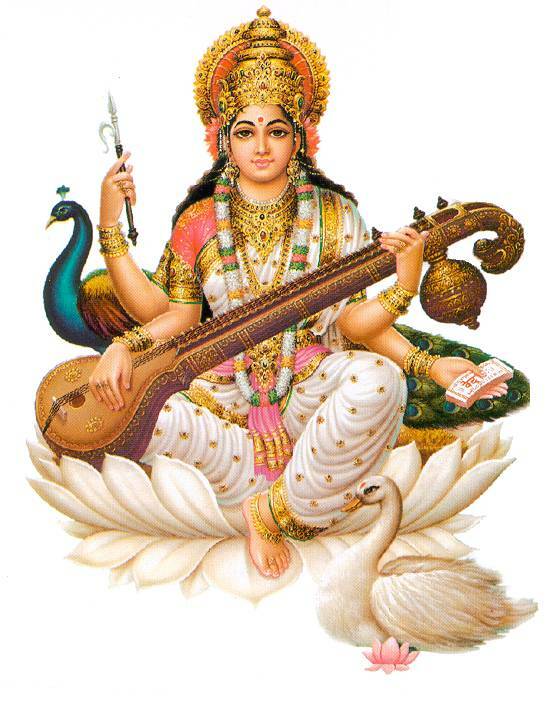 GODDESS SARASVATI PUJA OR WORSHIP ON Friday September 29, 2017. 1. Day -1, Thursday September 21. First day of the Bright Half of Ashvin. 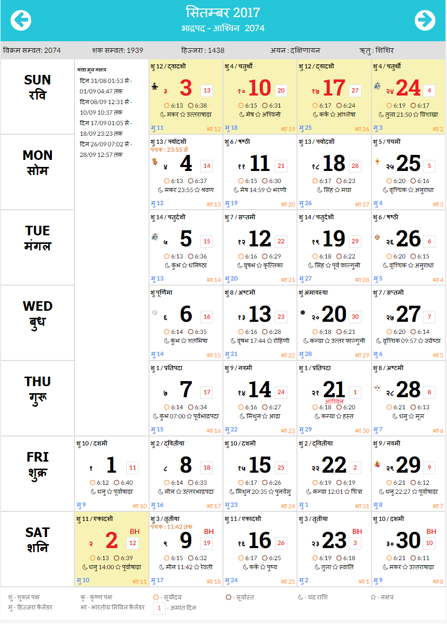 Navratri Begins as Pratipada or Ghatsthapana. This day is Observed as Chandra Darshan. Shailaputri Puja. 2. Day – 2, Friday September 22. Dwitiya, Brahmacharini Puja. 3. Day – 3, Saturday September 23. Tritiya, Sindoor Tritiya, Chandraghanta Puja. 4. Day – 4, Sunday September 24. Chaturthi, Kushmanda Puja, Varad Vinayak Chaturthi. 5. Day – 5, Monday September 25. Panchami, Skandamata Puja, Upang Lalita Vrat, Lalita Panchami. 6. Day – 6. Tuesday September 26. Shashti, Katyani Puja, Sarasvati Awahan, Sarasvati Puja. 7. Day – 7. Wednesday September 27. Saptami, Kalaratri Puja, Sarasvati Balidan, Maha Lakshmi Puja. 8. Day – 8. Thursday September 28. Mahashtami, Durga Ashtami, Annapurna Parikrama, Sarasvati Visarjan, Mahagauri Puja, Durga Puja. 9. Day – 9. Friday September 29. Navami, Maharnavami, Ayudh Puja, Siddhidatri Puja, Navami Homa.. Sarasvati Puja. 10. Day – 10. Saturday September 30. Dasami or Dashami. Vijaya Dasami, Dussehra Celebration. DEVI NAVRATRI – GOD AS MALE AND FEMALE. 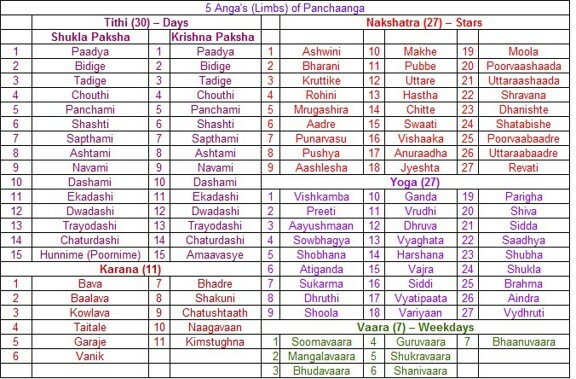 FOURTH DAY IS CALLED CHATURTHI. GODDESS KUSHMANDA REPRESENTS CREATIVE POWER, AND SHE EXPRESSES A SENSE OF JOY FOR HER OWN CREATION. 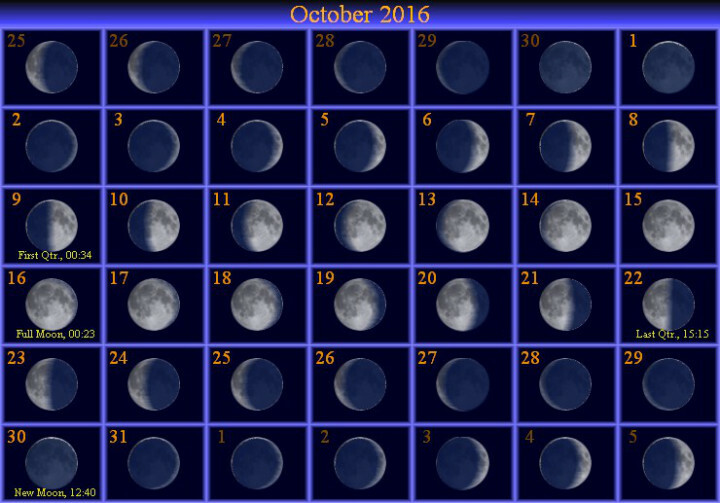 DEVI NAVRATRI – GOD BOTH MALE AND FEMALE – MOON PHASES OF OCTOBER 2016. NAVRATRI CELEBRATION FROM SATURDAY OCTOBER 01, TO MONDAY, OCTOBER 10, 2016..
DEVI NAVRATRI CELEBRATION OF SEPTEMBER 2017. 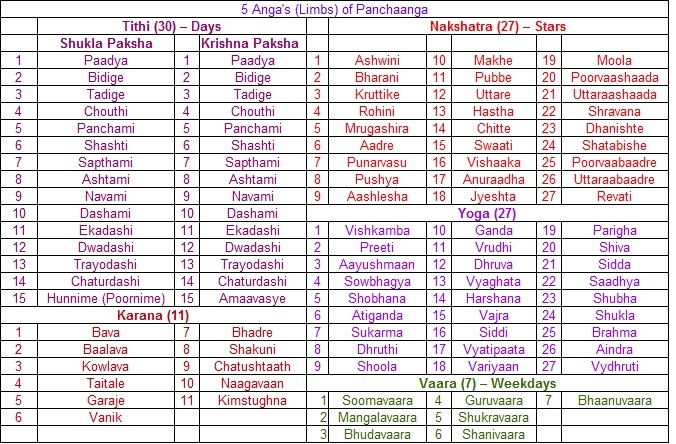 HINDU CALENDAR OR PANCHANGA. 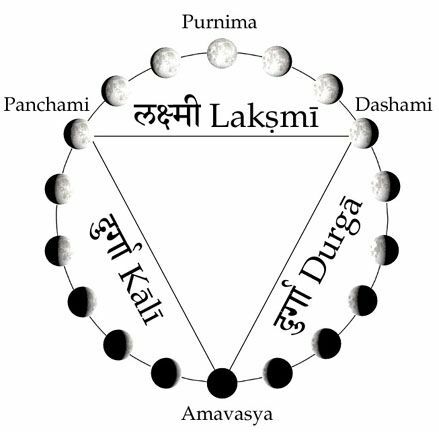 DEVI NAVRATRI – PHASES OF MOON ASSOCIATED WITH FORMS OF GODDESS SHAKTI. DEVI NAVRATRI – GOD AS MALE AND FEMALE. NINE DIFFERENT FORMS OF WORSHIP CALLED TARA – TARINI SHAKTI. 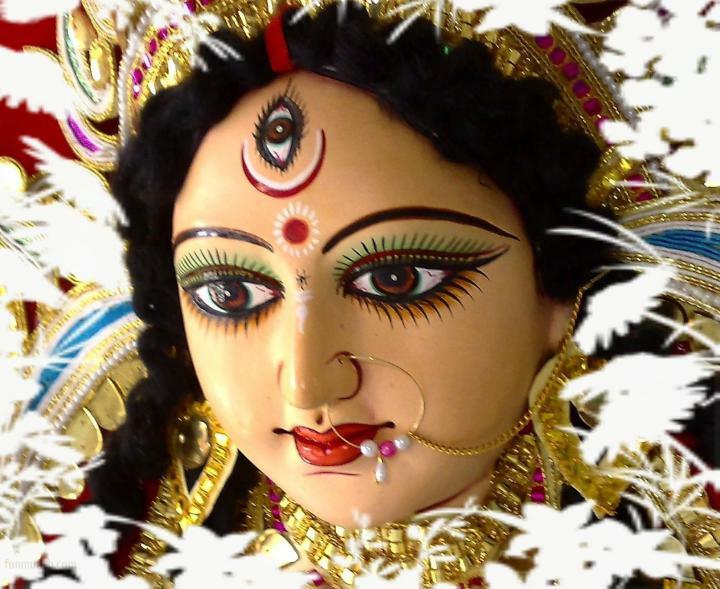 DEVI NAVRATRI – GOD AS MALE AND FEMALE. NAVA DURGA, NINE-FORMS OF ADORATION. DEVI NAVRATRI – GOD AS MALE AND FEMALE. 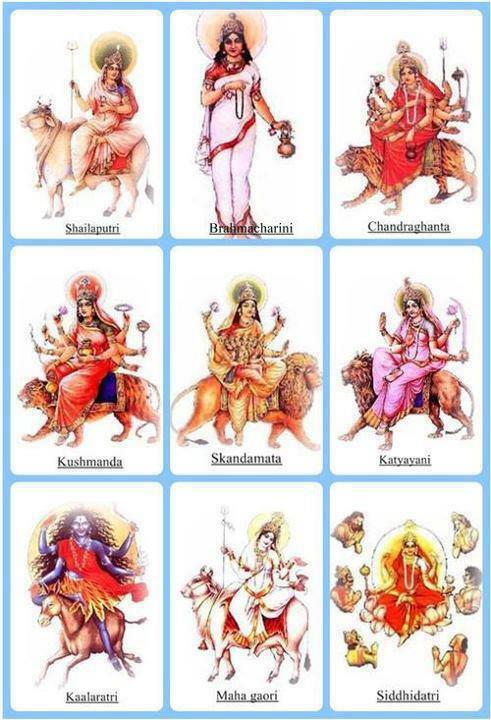 NINE REASONS TO CELEBRATE GODDESS DURGA. 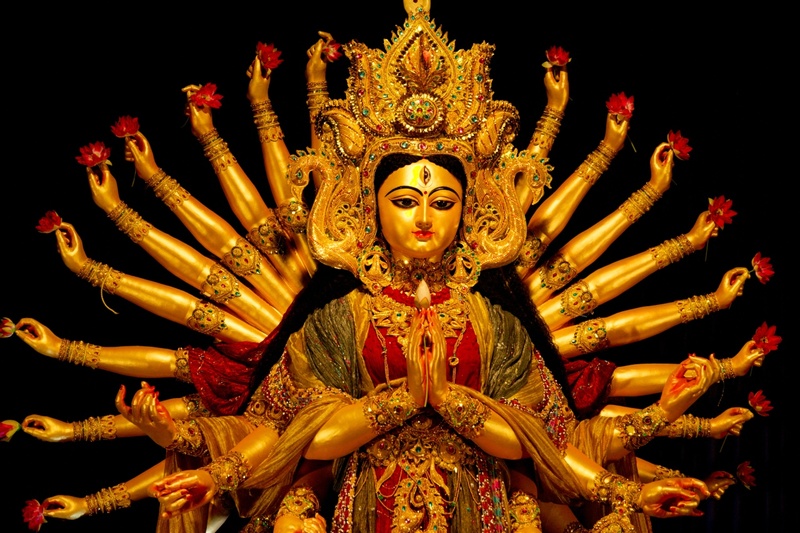 DEVI NAVRATRI – GOD AS MALE AND FEMALE. EACH FORM IS ASSOCIATED WITH A SPECIAL LEGEND, AND HAS SOME VERY SPECIFIC FEATURES. DEVI NAVRATRI – GOD AS MALE AND FEMALE . 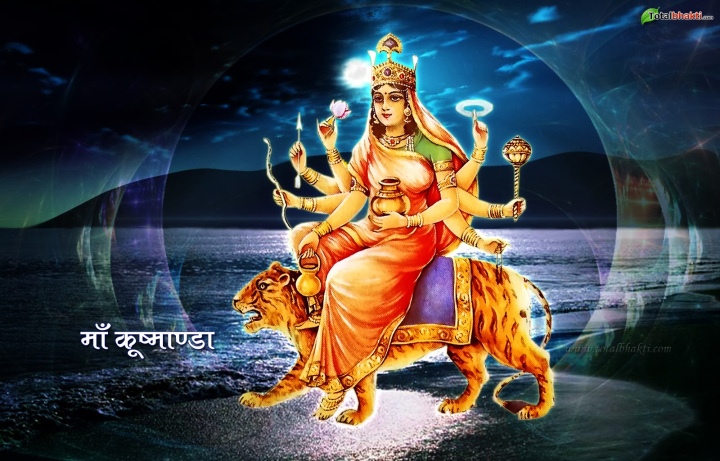 GODDESS OF FOURTH DAY OR CHATURTHI IS KNOWN AS KUSHMANDA. DEVI NAVRATRI – GOD AS MALE AND FEMALE. GODDESS OF FIFTH DAY OR PANCHAMI IS KNOWN AS SKANDAMATA, MOTHER OF SKANDA OR KARTIKEYA. 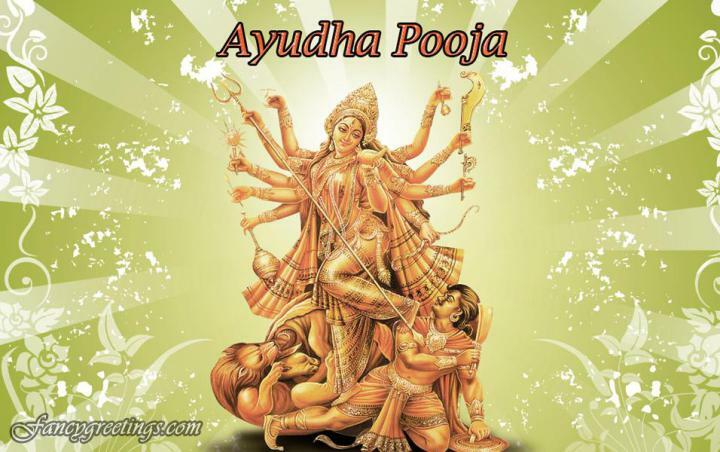 DEVI NAVRATRI – GOD AS MALE AND FEMALE. 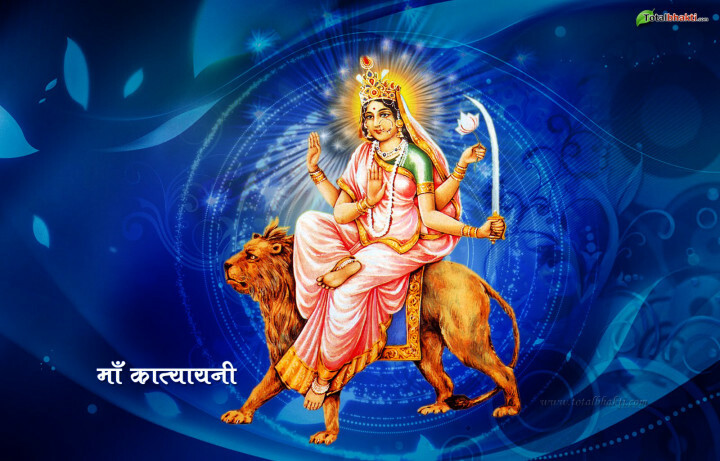 GODDESS OF SIXTH DAY IS KNOWN AS KATYAYANI. 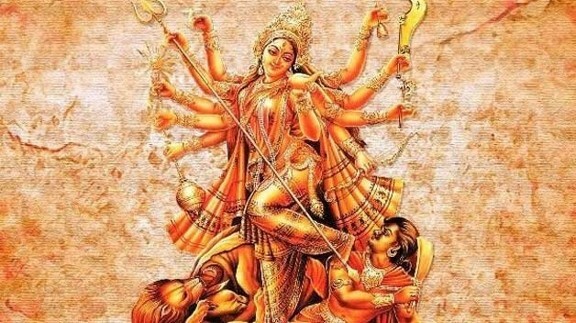 DEVI NAVRATRI – GOD AS MALE AND FEMALE. 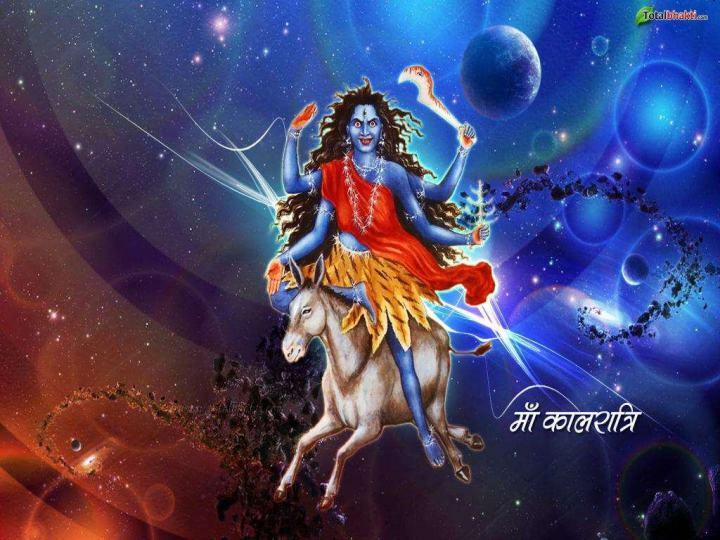 GODDESS OF SEVENTH DAY OR SAPTAMI IS KNOWN AS KALRATRI (BLACK OR DARK NIGHT), AND SUBHANKARI FOR SHE GIVES PROTECTION FROM TROUBLE. DEVI NAVRATRI – GOD AS MALE AND FEMALE. 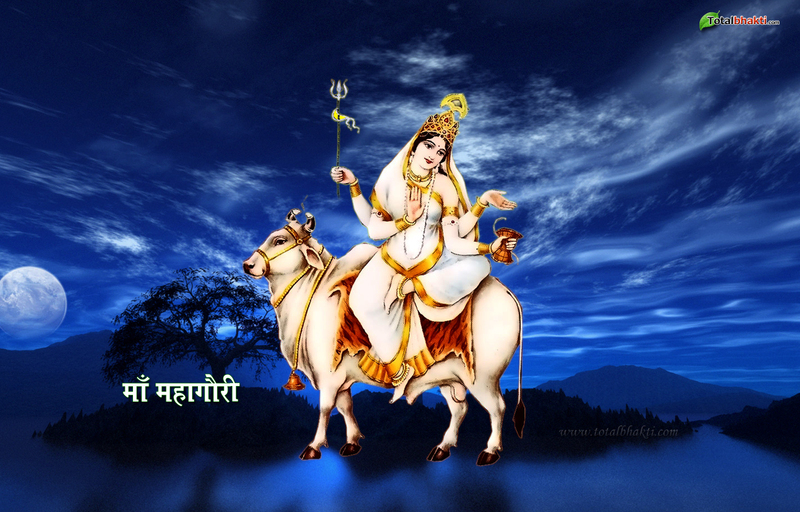 GODDESS OF EIGHTH DAY OR ASHTAMI IS KNOWN AS MAHA GAURI. DEVI NAVRATRI – GOD AS MALE AND FEMALE. GODDESS OF NINTH DAY OR MAHARNAVAMI IS KNOWN AS SIDDHIDATRI FOR SHE BESTOWS ASHTA SIDDHIS. DEVI NAVRATRI – GOD AS MALE AND FEMALE. 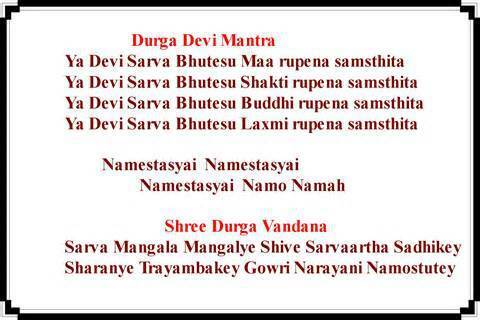 A HYMN IN PRAISE AND WORSHIP OF GODDESS DURGA DEVI. 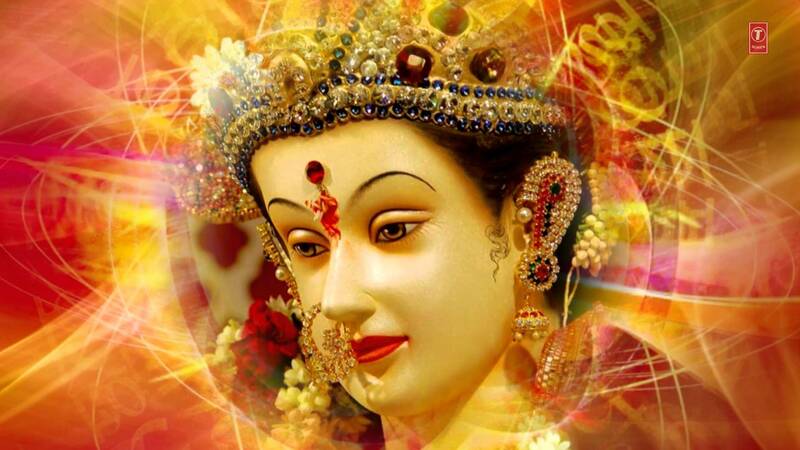 DEVI NAVRATRI – GOD BOTH MALE AND FEMALE. GODDESS DURGA IS PERSONIFICATION OF GOD’S OMNIPOTENCE. 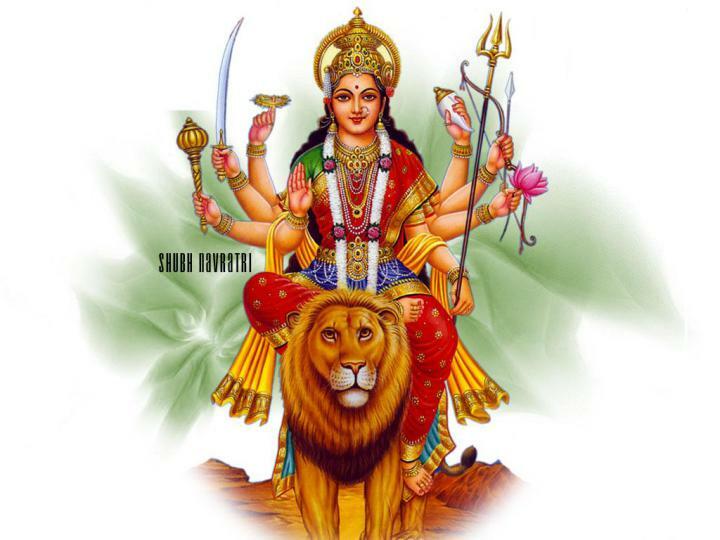 DEVI NAVRATRI – GOD BOTH MALE AND FEMALE. DEVI OR GODDESS HAS THREE SUPREME FORMS CALLED SARASVATI, LAKSHMI, AND PARVATI. THESE NAMES DESCRIBE DIFFERENT ATTRIBUTES OF GOD’S OMNIPOTENCE. DEVI NAVRATRI – GOD AS MALE AND FEMALE. NINE WAYS TO WORSHIP GOD. EACH FORM IS VIEWED AS DIVINE MOTHER OR SUPREME MOTHER. 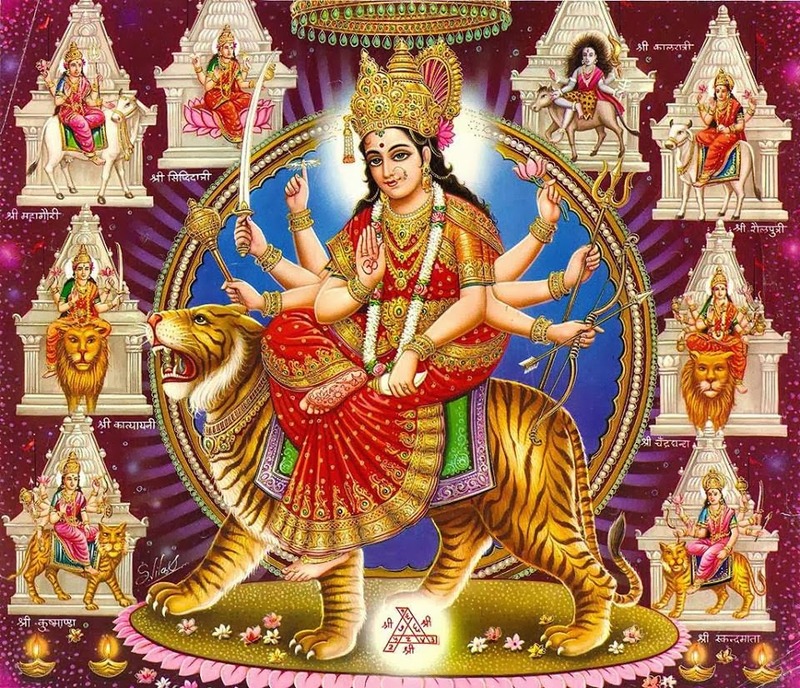 DEVI NAVRATRI, NINE-NIGHT CELEBRATION, DAY – 9, MAHA NAVAMI, AYUDHA PUJA, WORSHIP OF ALL WEAPONS, TOOLS, EQUIPMENT USED BY MAN TO ACCOMPLISH ACTION. DEVI NAVRATRI – NINE-NIGHT WORSHIP OF DIVINE POWER, LOVE, GRACE, AND COMPASSION TO ACCOMPLISH VICTORY OF GOOD OVER EVIL FORCES. 10th DAY, DASAMI IS KNOWN AS VIJAYA DASAMI OR DUSSEHRA. DEVI NAVRATRI CELEBRATION FROM THURSDAY SEPTEMBER 21 TO SATURDAY SEPTEMBER 30, 2017. DEVI NAVRATRI – GOD IS MALE AND FEMALE AT ONE AND SAME TIME. 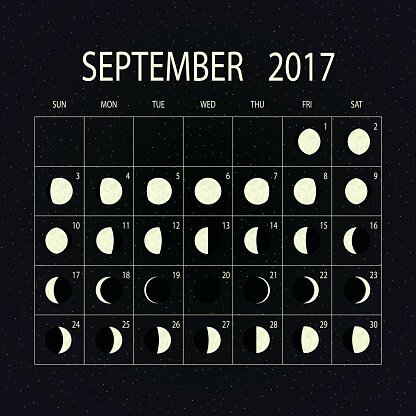 NINE-NIGHT CELEBRATION FROM THURSDAY SEPTEMBER 21 TO SATURDAY SEPTEMBER 30, 2017. WHAT IS LIFE? WHO IS YOUR GOVERNOR?